Yesterday I ended up being out of the house for a fairly long time, but it was worth it. Amanda and I went to watch the VMI basketball team play, and then caught a Jujitsu tournament. We took in the VMI vs. IPFW game. 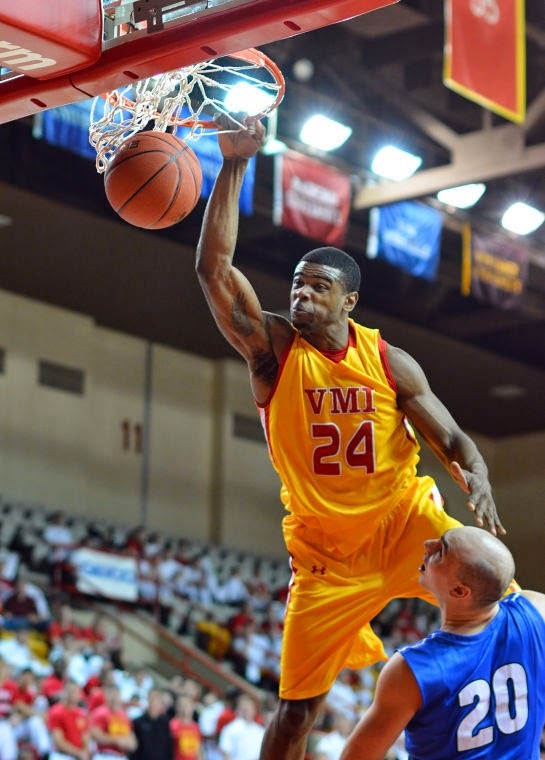 VMI is playing in the College Insider Tournament. It was a great game, and we were fortunate to have great seats down on the floor. VMI won an entertaining game. We immediately headed up to another building on post. On the top level of Cocke Hall, Jim Whitten and the VMI Jujitsu Club were hosting a tournament to benefit our family. Quite a few people came up and expressed their well wishes and gratitude for being able to compete. I'm not sure how to react when people thank me for helping me. I suppose for a brief moment, ALS takes a back seat and I get to share some time with some genuine, good people.